Nearly one-third of families with children who have cancer struggle to meet basic needs during treatment, forcing them to make unimaginable decisions: do they pay for medication or for food? Do they skip a chemotherapy appointment so that they can pay their mortgage? 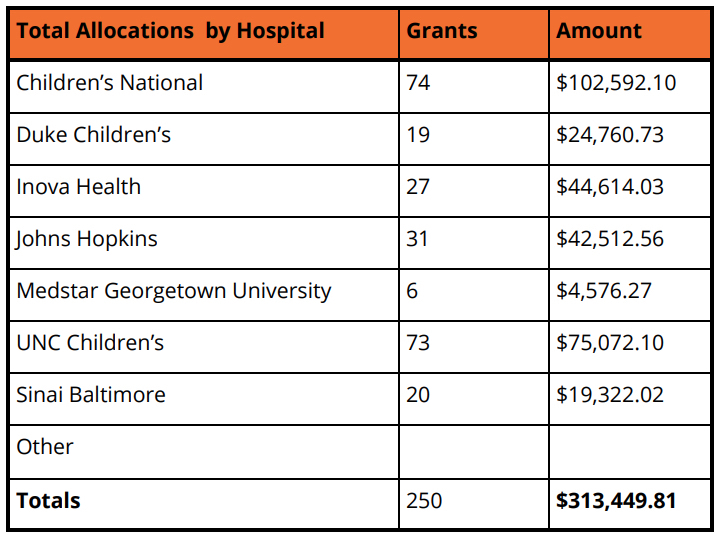 In 2018, JUST TRYAN IT assisted in removing these barriers, allowing social workers to allocate $313,449.81 in direct financial assistance to 250 families living and receiving cancer care in Maryland, North Carolina, and Virginia, and Washington, DC. In addition to the grants distributed, $25,000 in gift cards and parking vouchers were delivered to 250 additional families at Sinai Baltimore, Johns Hopkins, Children’s National, Inova Health and Duke Children’s. During the holiday season, further support was provided though the Hope for the Holidays campaign, giving 15 families $11,500 to enable them to celebrate with their critically ill loved one. As cancer affects the entire family, the grant, gift card and Hope for the Holidays support made a tremendous difference in the lives of 2,142 individuals. Because of JUST TRYAN IT’s dedication and the generosity of their donors, each family received financial support at a time in which every gesture of hope and relief mattered. Simply, 2,210 individuals struggling with the financial burden of a pediatric cancer diagnosis were able to remain in their home, put food on their table, safely travel to treatment and maintain access to cancer care. As always, we hope this report serves as a powerful reminder and representation of the strength of a community. Together we are changing the face of cancer and we are truly grateful for your continued generosity. Simply put, we couldn’t do this work without you! JUST TRYAN IT’s direct financial interventions, provided to families at critical times, ensure that patients and caregivers can fill prescriptions, access reliable transportation for appointments and adhere to all aspects of the treatment plan. By addressing a full range of financial needs and providing assistance quickly, JUST TRYAN IT optimizes the impact of financial intervention on adherence to care and reduces a family’s CRFT (Cancer Related Financial Toxicity). Our Direct Financial Assistance program covers mortgage, rent, utilities, transportation, car payments, gas, parking, food, childcare and other non-medical expenses allowing patients and caregivers to better utilize their resources to cover treatment related costs like medication, co-pays and hospital bills. Financial support from JUST TRYAN IT had a significant impact on the housing needs of patients and families. Forty nine percent (49%) of our funds were used to stabilize housing through mortgage and rental payments. Stabilized housing is a basic human need with a tremendous impact on a patient’s quality of life. With the loss of housing comes immense emotional distress, higher risk of infection, inability to adhere to a treatment plan and in worst cases, relapse. 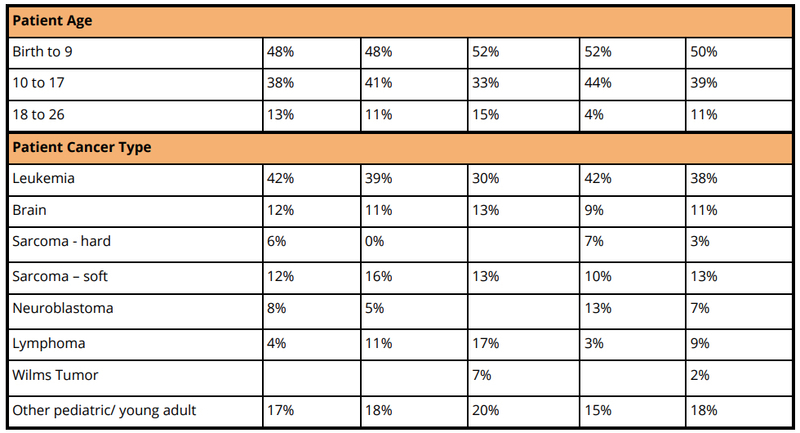 Grant size varied from $119.04 to $2,566.54 with the average grant size at $1,253.80. JUST TRYAN IT continued to reach underserved populations and expand our footprint in the pediatric cancer community. 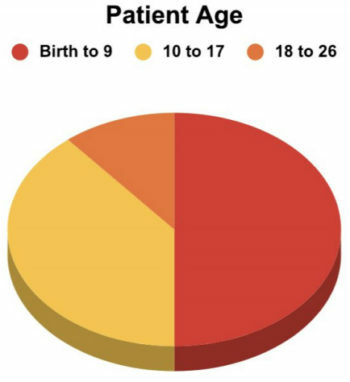 The diversity of patients and families served through JUST TRYAN IT’s support is outlined below. 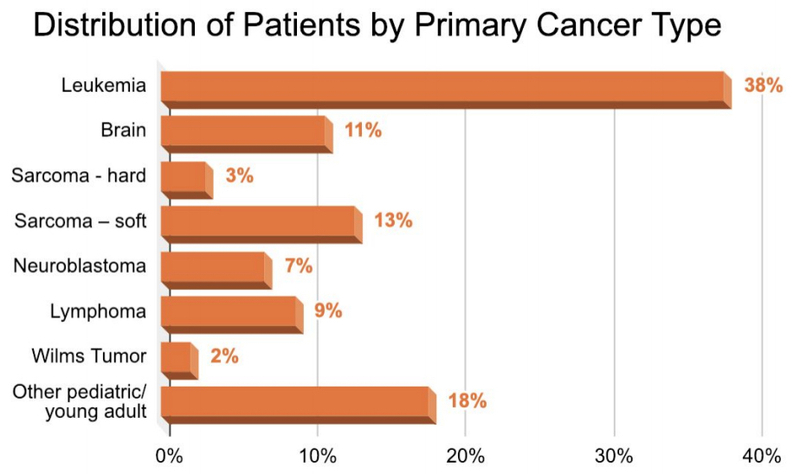 Financial hardship will hit 59% of patients facing any cancer diagnosis. 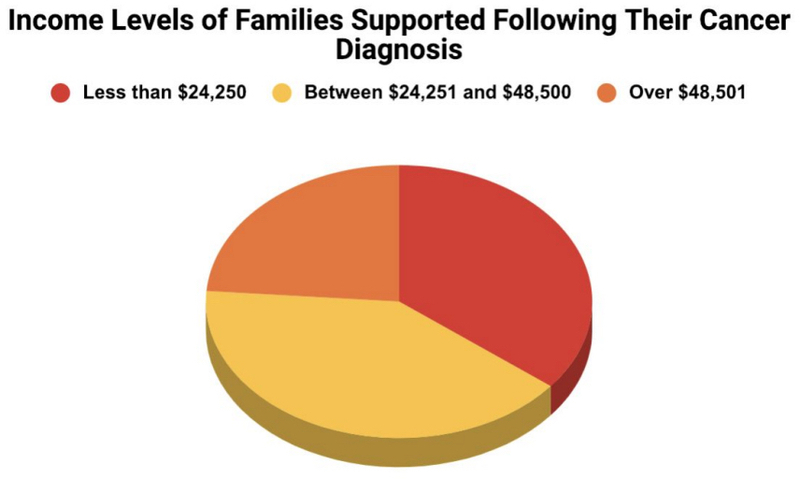 On average, families supported by your donation reported a 50% loss of household income following a cancer diagnosis. 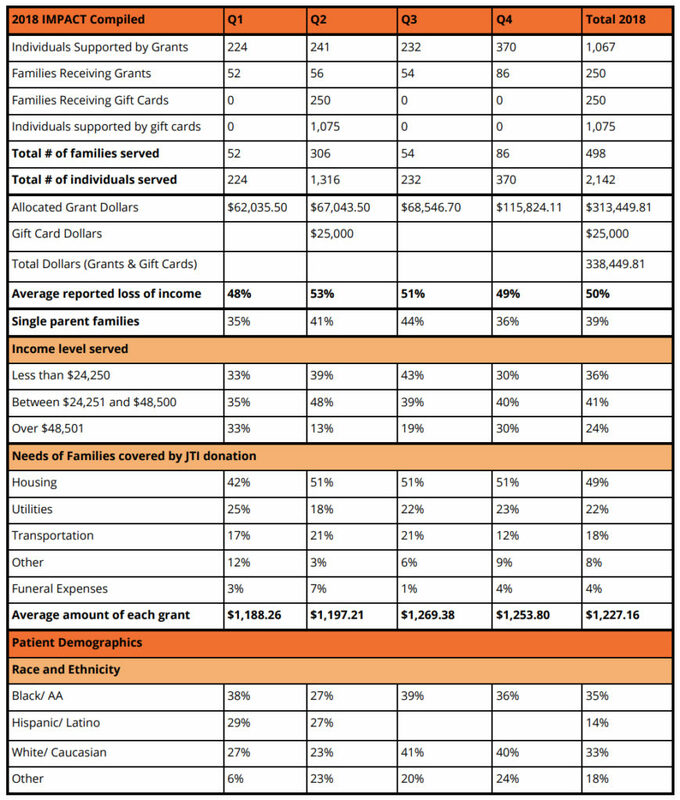 39% of the families who received grants made possible by your donation were single parent families. Kenyah is a 13-year-old female who was diagnosed with retinoblastoma in May of 2006. During her first diagnosis, Kenyah had a complete removal of her right eye. She was doing well for several years before relapsing in November 2011, May 2018, and October 2018. Back in August she had surgery behind her left eye to remove a tumor; unfortunately, doctors were unable to get clear margins without causing more damage. This resulted in partial hearing loss in both ears. In her most recent relapse, she now has a fast-growing tumor behind her left eye. This tumor is pressing against her optic nerve and is causing extreme pain. She will have to have surgery again and will more than likely lose her left eye as well. She may also lose hearing altogether. Kenyah enjoys art and creating things. She loves spending time with her big family which consists of an 18 year old brother, 16 year old sister, 6 year old sister, and 4 year old sister. Biological parents are no longer together and mother is sole caregiver/provider to Kenyah and her siblings. 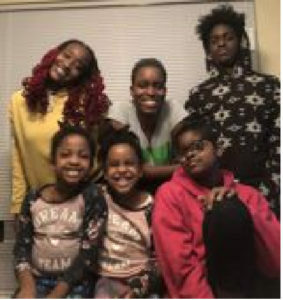 Over the last few months, mom has downsized her apartment and sought out resources in the community to alleviate some financial strain but has also had to cut back on work significantly. Unfortunately, the family has fallen behind on rent, utilities, and car payments. 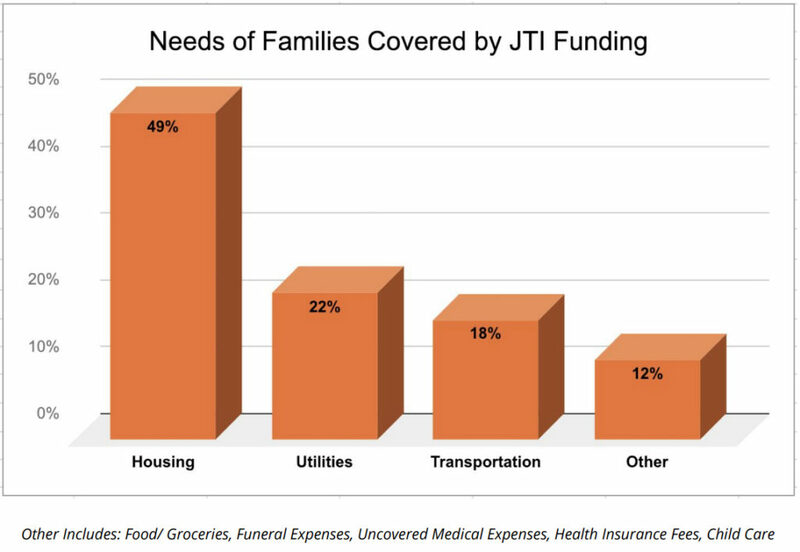 A JUST TRYAN IT grant was distributed covering costs associated with the family’s housing. With this need addressed, the family was able to breathe a little easier and focus on Kenyah’s well-being. Kenyah has been a long time friend of JUST TRYAN IT and she and her mom can be seen in our video. Averie is a 16-year-old young man who lives with his mother and stepfather in Virginia. He is an only child and was diagnosed with a glioblastoma a little over a year ago. He underwent 6 weeks of radiation and 9 months of chemotherapy, however recent MRI results showed progressive disease and Averie began treatment once again. 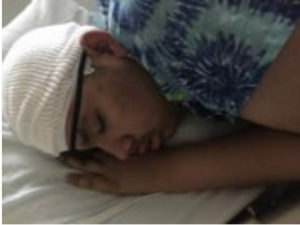 He continues to receive both inpatient and outpatient care, requiring he and his mom to spend nearly all of their time at the hospital. Sadly, because of this, his Mom recently lost her job as her company could not afford to have her out for extended periods of time. She fell behind on her mortgage and feared for the security of herself and her critically ill son. With funding from JUST TRYAN IT, a grant was issued to cover this need, allowing Averie’s mother time to get back on her feet and focus on her son.